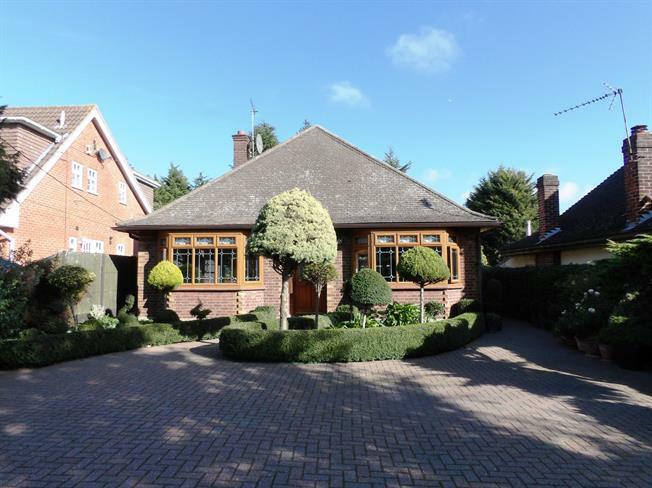 3 Bedroom Detached Bungalow For Sale in Billericay for Offers Over £700,000. Only with an internal viewing can you really appreciate how stunning this detached bungalow really is so call and book your viewing today! Situated on the highly desirable Noak Hill Road, therefore enjoying a more than generous plot and amazing open field views to the rear, this three bedroom home is immaculately maintained in a classic style and in fantastic condition. The property comprises of an entrance hall giving access to a spacious lounge with a Victorian style fireplace and feature picture window, and a good size master bedroom with fitted wardrobes. An inner hall/study area leads to two further bedrooms and a beautiful four piece family bath/shower room. To the rear of the home is an L shaped kitchen/diner fitted with a country style kitchen with butler sink. The dining area features a vaulted ceiling and french doors to the garden. Externally the large rear garden backs fields and is beautifully laid to lawn with numerous shaped shrub borders and feature koi pond with a large drive to the front providing ample parking.